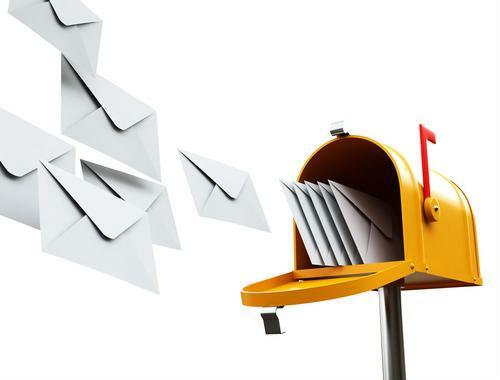 Print service providers whose major offerings include direct mail may be concerned that these campaigns will soon fade from the marketing playbook, driven off by email, social media and the other channels that have become defaults in the millennial era. For marketing departments to keep investing in mail-based campaigns, they'll need reassurance that this is still a creatively vital and statistically effective way to attract customers. Fortunately, reaching an audience via physical mail remains a valuable approach, despite its differences from the digital status quo – or maybe even because of those differences. The printing industry has historically equipped companies with their main methods of communication, both internally and externally. While that era has passed, pushing printers into a more niche and specialized role, some of the legacy methods of marketing have held on, taking on new positions in the world of customer outreach. Direct mail is one of these, and today's responsive and quality-driven printing business is well-equipped to keep this approach going for years to come. While direct mail is a marketing method as old as the mailbox, it's not outdated or obsolete in the era of digital data collection and detailed targeting of prospects. Instead, physical letter and postcard campaigns have subsumed elements of modern online marketing to become more effective in their own right. Target Marketing contributor Summer Gould specified that companies should be using detailed customer and prospect lists and varying their mailings based on the level of someone's investment in the company. Prospects will potentially receive more mail than individuals who have already made a purchase, and there is room to customize both the schedule and content of each piece of mail. Of course, in an age before digital printing, such variable campaign tactics would have been difficult to execute correctly. Today's printing industry, however, has come a long way. Solid integration between digital data reserves and the letters going out to consumers can strengthen an organization's appeal and create the kind of personalized connection that has come to define highly targeted online outreach. This mix of tactile media and precision tactics can help organizations of all kinds make sales and promote ongoing loyalty. Gould added that it helps to include coupons and other special offers in mailings. These, too, can be nearly as customized as the product recommendations that adorn the bottom part of the Amazon website. When people receive discounts on products related to ones they own, it's a clear incentive to buy. Sending such an invitation via direct mail is a way of drawing extra attention to its value, as a letter in the mailbox may seem more special to a digital-native consumer than an email relegated to the commercial section of a digital inbox. No company should limit its marketing to only one method. In fact, even launching many different closed-off and siloed campaigns is likely a sub-optimal approach to outreach. Modern marketing is driven by data, and companies that can pool and attribute the information from their many channels can become more relevant through each of those many platforms. Despite its essentially analog nature, direct mail can and should be a cog in such a system. DMN editor-in-chief Kim Davis recently suggested that marketing can thrive in a diverse and non-linear model, reflecting the fact that customer journeys are taking more circuitous and self-driven routes than ever before. Whether a campaign focuses on business-to-business contracts or business-to-consumer products, there is room for physical and digital outreach to exist side by side. Davis noted the physical persistence of direct mail is one of its key traits, a fact that ensures its staying power in such a system. Once someone has received a piece of mail, getting rid of the item takes time and effort. Carrying something to the recycling bin or leaving it where others can see it grants its message a few critical seconds of extra exposure. Deleting an email is remarkably easy, and some poorly delivered messages may be caught in spam filters and never seen at all. Direct mail retains the power to draw the eye, even in an IT-driven world. Keeping direct mail as part of the marketing mix doesn't necessarily mean going "retro" or resisting modern trends. Instead, companies can turn to this outreach method as a solid part of a compelling overall strategy. Emails, banner ads, social media campaigns, video, influencer marketing – all of these are good approaches that have their place. Direct mail, analog as it is, falls into the same category.